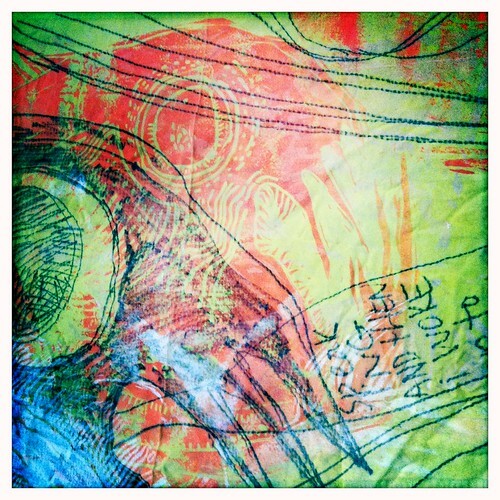 detail of companion panel for "Graffiti Under Bridge"
A detail from the quilt - "Between the Blast and Now" in progress. In some of these details, you can see a hint of the primordial creatures who haunt or frolic the dreamscape – inspired in part by sea creatures in this hoax email. This piece is also an exploration of innate dreams and TimeStretching. Below are some more pix of the quilt, in progress. 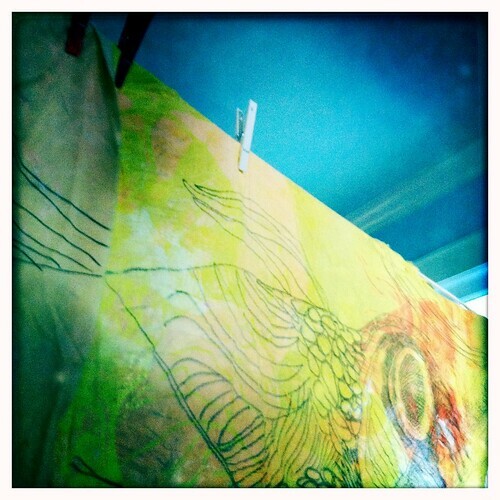 Clotheslines in the living room mean "the art" is happening. 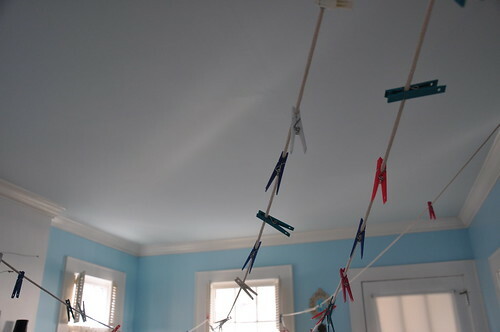 Also, Clotheslines in the Living Room would be a great song title for my debut country record: Drunk and Uninvited. Stringing the cord for drying prints. 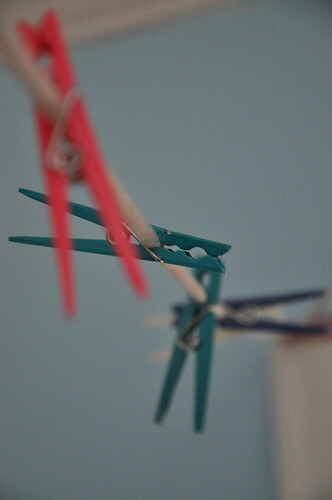 The colorful clothespins on the dry line remind me of flags in china town or maybe the festive flags that go up inside circus tents. 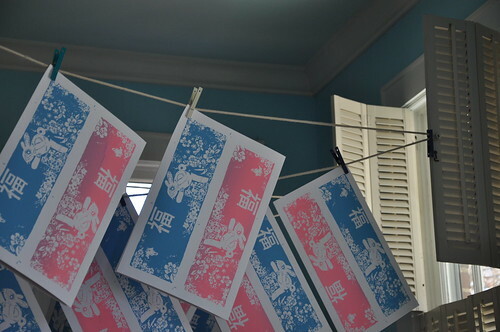 And here's a sneak peak at the Chinese New Years cards I printed this weekend. 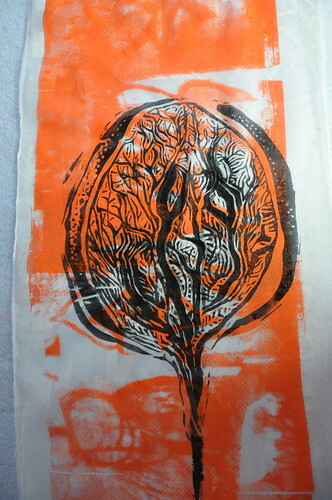 This is what the first color looked like. I did a run of 100, 1/2 blue and 1/2 pink. 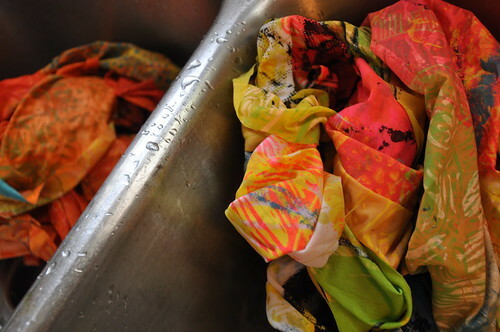 Pink came second so you can detect a slight rainbow roll in the prints that were the first after the transition.